Finally it's raining here. The drought appears to be broken. Perfect weather to snuggle up for a Movie Marathon, especially as we've had Daddy away here for four days. 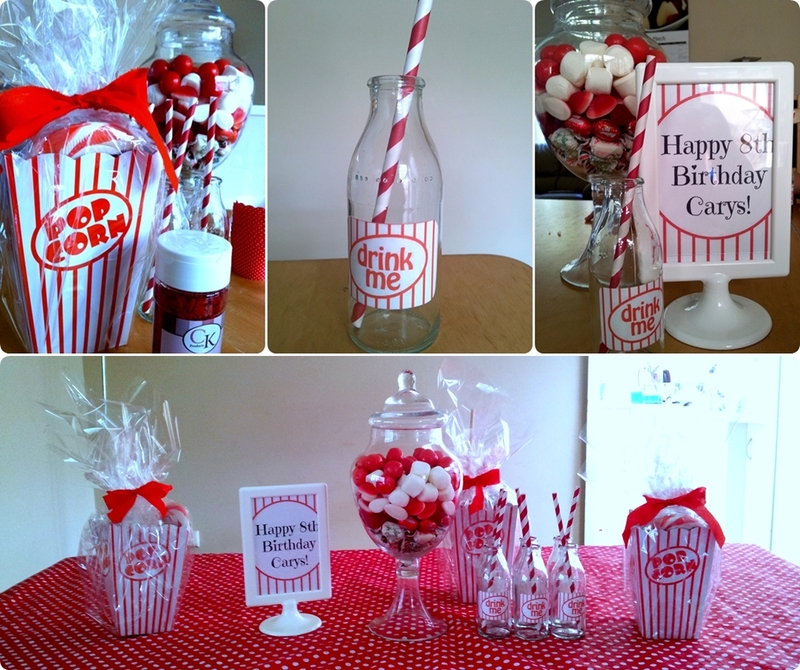 I got inspired by Sophie over at Little Gumnut, with her Hollywood themed party, complete with Photo Booth, so I thought that this weekend, I'd share Sophie's fab movie theme party with you, as well as the perfect movie series for a Family Movie Marathon, good ole Shrek. 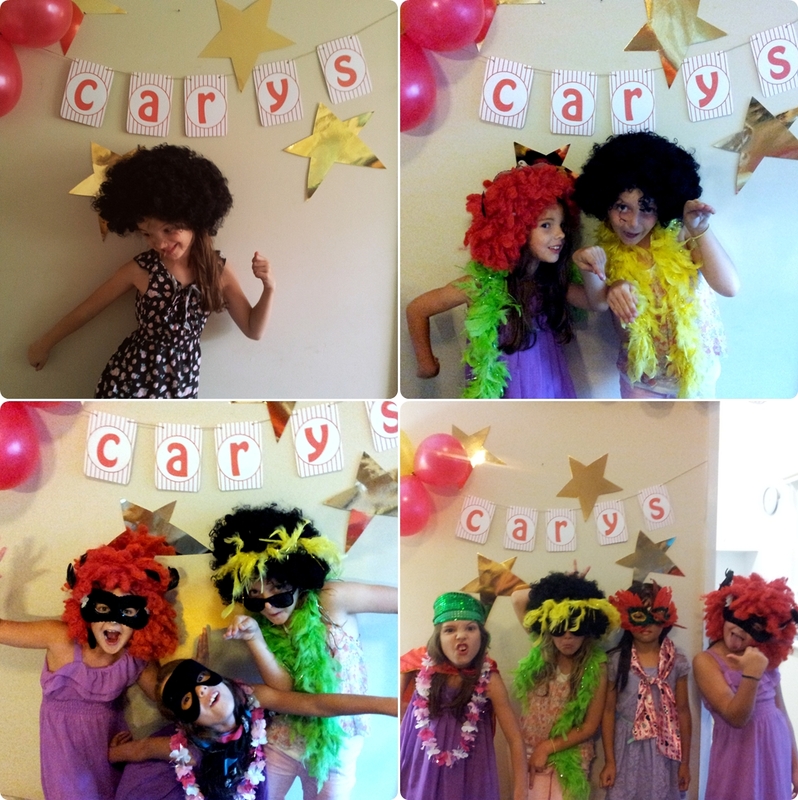 Whether you're having a movie marathon or just a family DVD night, a Photo Booth will make it all much more fun. 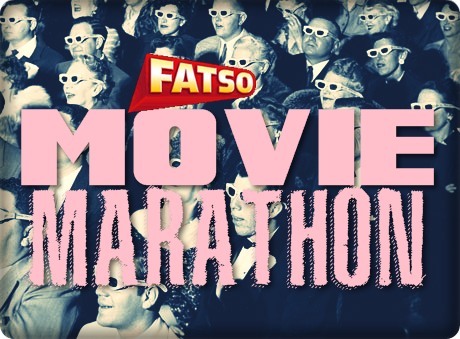 We think the Shrek Movies and their spin-off "Puss in Boots" make for perfect Hollywood theme night viewing... (and a super-fun marathon too). The Shrek story is finally complete, after four movies. The original is laugh-out-loud funny and simply can't be beaten. Shrek 2 is a great sequel. Shrek The Third is probably the weakest of the bunch, but it's still great to see Prince Charming get his come-uppance. Shrek: The Final Chapter ended the collection on a high note. Our family loves all the Shrek movies, kids and adults alike. Imagine having a Shrek Movie Marathon... watching the whole lot from start to finish? Perfect for a Hollywood themed movie night, as the land of Far Far Away even mimics the Hollywood sign and there are lots of Hollywood references. KID WATCHABILITY Awesome for all but the most sensitive. SCARY BITS The last movie has lots of witches, but they're silly rather than scary. 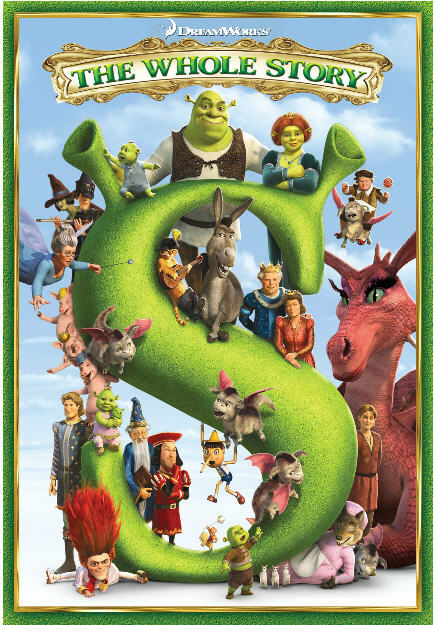 Having said that, I think Shrek 4 is slightly darker than the rest. GROWNUP WATCHABILITY We discovered the original Shrek while on a date night, kidless. We walked out of the very lame "The Mummy Returns" and sneaked in the back of "Shrek" - a love affair was born. The Shrek Movies are classic, and we rewatch them on a regular-ish basis. I took the kids to see this at the movies, and we all loved it. 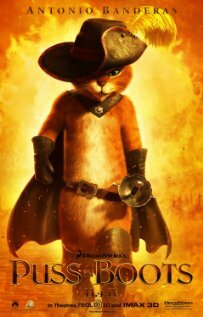 Puss is one of the great characters from the Shrek movies, and this spin-off actually works really well, we thought. Puss's back story was ironic and a bit tongue-in-cheek. there was all the humour we had come to expect of the Shrek movies; Puss in Boots is a good family watch. We'll be adding this to our DVD collection when it comes out. KID WATCHABILITY Our boys and girls both loved it. SCARY BITS Cannot recall any particularly scary bits. But it's PG so there must be something there. Perhaps the giant goose?? GROWNUP WATCHABILITY I'd watch it again. Mr G liked it. Not painful at all. "Kid Watchability" is based on children aged 3-6 years. Movies with PG are more suited to older, not-so-sensitive children. "...the minute I pressed that little publish button, I started having ideas. Idea 1: I remembered I had lots of jam jars I had been saving to put candles - they would be great to put on the table. Idea 2: Then I thought about all the photo booths that have been swimming round the internet. That would be a hoot for the girls to do too. Idea 4: As the girls were going to watch one, the movie theme made me think Hollywood too and with the gold card I bought I planned to do gold stars behind the photo booth or some kind of glittery background. Idea 5: The amazing Stacey lent me some of her party equipment that she hires out and offered to help with with some printables for banners, drinks bottles etc, and then lent me some decorating supplies and gave some popcorn boxes, straws and cupcake holders she had left over from other parties as well as great advice on how to decorate the cupcakes. Idea 6: I had had a little squizz on Pinterest earlier in the month for ideas on parties with a movie theme and found an image of a cake that looked like a bucket of popcorn. I thought that would be fun (and easy) to do. Stacey's advice was for the simpler classier red on white and white on red cupcakes! This photobooth was such a success, I think might do it at every party. Stacey created the letters for the banner and all it needed was a few balloons, some stars cut out of gold card and a basket of dress up accessories from the kids room. Easy as pie and a great big hit with the girls...."
I absolutely love Sophie's idea for the theme, which would work perfectly for a super-special movie night as well as a brilliant movie birthday party. I love that she was able to pull it together quickly and easily; it looks great AND the girls all look like they're having a blast.